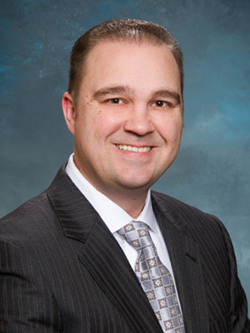 Richard J. Smith, Jr. Richard J. Smith, Jr.
Rick has spent the past 10+ years serving as an advocate to help his clients navigate the complexities of their financial lives. He focuses on Comprehensive Financial Planning, which includes Investments, Retirement Income Planning, Estate Planning, Disability, Life and Long-Term Care Insurance Strategies, and Business Owner Planning. As a Private Wealth Advisor with Mosaic Wealth Consulting, Rick places the highest importance on his relationship with his clients. Not only does Rick work hard to address the unique needs and challenges that his clients face, he supports them towards discovering and reaching their financial goals. Rick prides himself in providing the most comprehensive fee-based financial planning, wealth management and retirement planning services available. His goal is to help clients not only understand the numbers and financial aspects, but to also help them navigate and understand their emotions. Each is equally important in building a successful financial plan that can provide them security and a comfortable life. Rick understands the importance of having a financial plan that is flexible enough to change as his clients circumstances change. A graduate of Indiana University of Pennsylvania, Rick holds a Bachelor degree in Finance. Rick and his wife, Emily, reside in Plum Borough, PA with their four children: Noah, Elizabeth, Emma and Alec. Outside of the office, Rick is a member of the Plum Chamber of Commerce, where he serves on the Board of Directors. Rick is an avid golfer and he enjoys spending time with his family outdoors while camping, fishing and coaching his kid’s youth sports teams. He also gives back to the community by his many different volunteering efforts throughout the year.